ICT including the Internet, learning platforms, e-mail and mobile technologies have become an important part of learning in our school. We expect all pupils to be safe and responsible when using any ICT. It is essential that pupils are aware of e-Safety and know how to stay safe when using any ICT. All pupils and staff using the schools computer equipment are required to agree to the schools Acceptable Use Policy. The full E-Safety Policy is available here. All activity on school equipment is monitored via Securus online security software and routinely reviewed by e-safety staff at school. Online filtering is also in place via Norfolk County Council for all school issued email accounts. All pupils are issued an email account when they start school here. These details are provided to them as part of a structured learning environment in their classrooms during Key Stage 3. This is a monitored system so pupils must be aware that any of their emails may be checked at any time for inappropriate material. Social Networking is a big part of everyday life. From Facebook, to Twitter, YouTube, Snapchat and online gaming, many enjoy communicating with friends and family this way. Parents should be aware though that no one under the age of 13 should have a Facebook account, as well as many of the other online social networking sites. We recognise that Facebook is such a big part of many of pupils social lives and they should be taught how to use it safely and securely. During Keystage 4, we will organise specific lessons to teach the pupils how to apply their security settings within Facebook and will notify parents prior to this taking place. It is important that all parents know how their children are using Facebook and other similar sites. Sending abuse during instant message sessions. 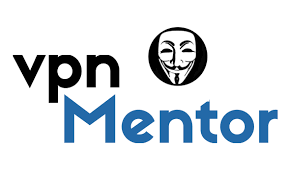 Creating fake ‘friends’ on social networking sites and encouraging the victim to communicate and send messages which are then made pubic and mocked. Sending abuse via email, text or instant messages. Many can view these abusive messages, and the victim of cyber-bullying can feel exposed and humiliated. We treat cyber-bullying very seriously and the school sanction system is used where it comes to our attention. It is increasingly common for children to send or request sexually explicit texts/messages to others. Once a photograph or movie is put online it can never be retrieved, even after it is deleted. Even images sent with applications such as ‘snap chat’, can be saved and distributed on the Internet. For more information visit theThinkuknow website or contact the school. If you have concerns about your child’s online safety, there are many places to go for advice and guidance. Thinkuknow.co.uk is an education programme from the National Crime Agency’s CEOP Command. ChildLine is a service which is provided by the NSPCC. The ChildLine website only has content written directly for children and young people. In this comprehensive guide, we outlined eight areas that you should pay attention to as you navigate this complex online world. Depending on the ages of your children, not all of it will apply to you. Think of it not only as guidelines for what you should do now but what you should pay attention to as your children grow. UK Safer Internet Centre, where you can find e-safety tips, advice and resources to help children and young people stay safe on the internet. 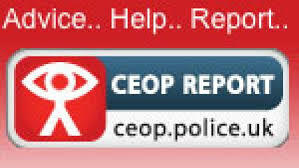 Please use this link for more information or anywhere the CEOP button is seen you can make a report.